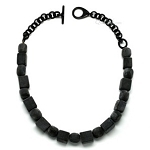 A beautiful necklace handmade from water buffalo horn by woman designer in Vietnam. Lightweight. 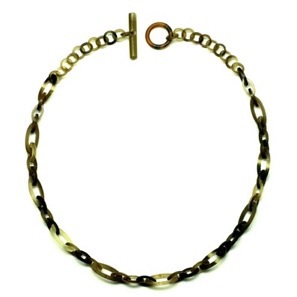 With 3 lines of horn rings it is an elegant addition to any woman's neck. A statement piece.